You remember Nicholas, the less-than-helpful Alexandrian citizen who wound up blowing himself away in the middle of a tense situation and nearly getting Glenn killed? If you never liked Nicholas, you’re in good company: neither did Michael Traynor, the man who had to play him. IGN asked several Walking Dead actors (all whose characters had been killed off) how they thought the people they played would have coped with Negan if they had lasted that long. Traynor figures if Nicholas had lived, he would have switched sides and joined Negan’s army in Season 7. Nicholas, in the great coward’s defense, he was good with humans. He almost took out Glenn, and Glenn’s a wily dude. It was just the walkers that unnerved him. It was the whole undead shambling mounds with the guts coming out of you saying ‘mmm you’re tasty.’ Potentially [he would have been helpful with Negan], which makes me even hate him more. 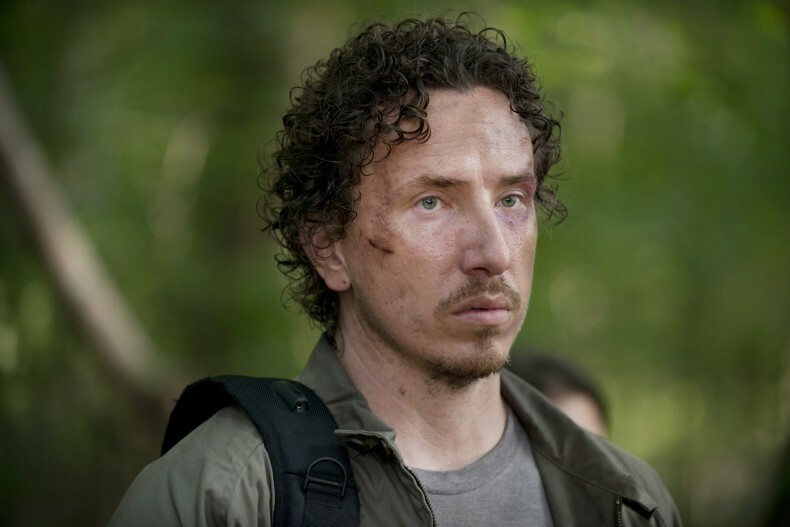 Actually it’s doubtful Nicholas would have been “helpful” to either side….one suggestion like crawling on a tightrope line above fifty Walkers, and Nicholas would have gotten the bat whether Negan trusted him or not.